When Curtis Brooks starts receiving phone calls from his older brother Wilt, who's been dead a week, he's sure it's to help him find evidence that will lead to a murderer's arrest. But Wilt claims he wasn t murdered; his calling, meant to help him adjust, is standard protocol for newly deceased at the Aftermarta kind of inescapable, ever-expanding Walmart filled with discontinued products. Wilt's death ruled a homicide, Curtis embarks on a dangerous plan to find the killer, which soon has him scheming against a billionaire and floundering toward love with his brother's ex-girlfriend Suzy, all while struggling through high school and his single mom's poor choices. Why does Wilt help Curtis win over Suzy, even as he organizes a rebellion at the Aftermart? Who d wanted him dead? Curtis risks his life to answer these questions, in the process forging a bond with his brother unlike any they ve ever had. 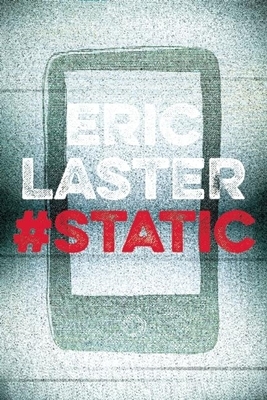 A New Yorker by birth, Eric Laster lives in Los Angeles, where he pens fiction and provides strategic writing services to select clients. After a successful stint as a ghostwriter, Eric re-launched under his own name with the middle-grade novel Welfy Q. Deederhoth: Meat Purveyor, World Savior. Whenever he s not scribing, he records punk rock and presses it to vinyl.